Ett set med Panagenics Balsam, Schampo och Återfuktande spray. Det vill säga allt du behöver för att få din hunds päls i absolut toppform! Schampot appliceras på samma sätt som balsamet. Ta en liten klick schampo i handen och massera in det i TORR päls EFTER balsam. Arbeta in schampot i hela pälsen, ända in till huden. Skölj. Den återfuktande sprayen kan användas som en sista finish för att ge glans och djupare färg. Spraya alltid en lätt mist över pälsen innan du borstar eller kammar eller mellan bad för att återfukta pälsen och skydda den mot slitage och minska tovbildning. 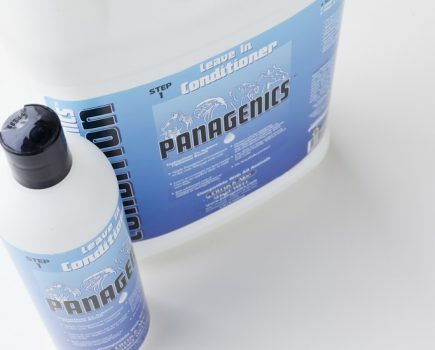 Panagenics™ Conditioner is a non-traditional conditioner (smaller in molecular construction) and it is to be applied before the shampoo. It is designed to be a leave in, between shampoo periods and to penetrate even under a healthy cuticle into the cortex. This will hydrate the cortex and restore the shape of the hair, intensify color, provide hair that will dry faster, increase volume, provide manageability, eliminate dry brittle hair and increase strength. This is the highest quality hydrating conditioner on the market. 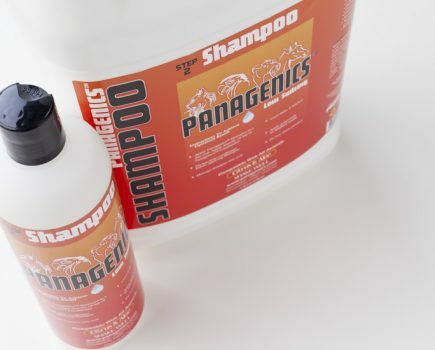 As with all Panagenics™ products they are designed to genetically enhance any species, breed of hair, skin or feather it is applied on. 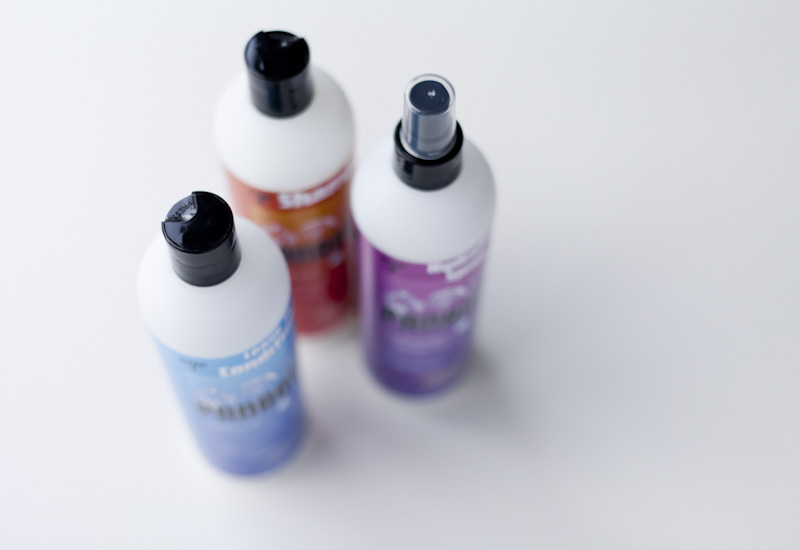 It is dye free, tearless, fragrance free, low sudsing and pH in the 5- 6 range. This will repair the worst of hair damage and genetically restore your hair to its natural state. The more you use these products the better your hair will get. 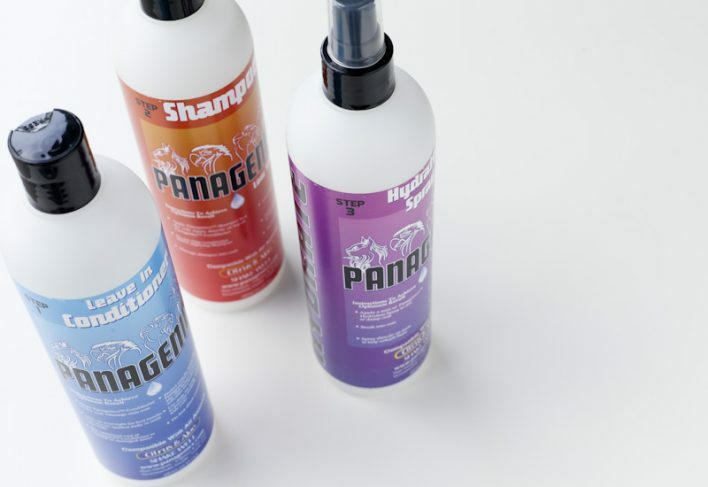 All of the Panagenics™ products are gentle enough to be used daily on people, infants, dogs, cats, horses, wild animals and even birds. Panagenics™ products are safe for the environment and contain no harsh chemicals to harm watersheds. Apply a small amount on hand and massage gently onto dry hair all the way to the skin. There is no need to rinse out, as it will absorb into the skin and hair to re-hydrate and condition both the skin and hair. This can be done on a daily basis then Shampoo with Panagenics™ Shampoo as needed. The shampoo is applied in the same way as the conditioner. Apply a small amount on hand and massage gently onto dry hair all the way to the skin. Note that the shampoo is applied on DRY coat AFTER the conditioner! Work the shampoo well into the coat, then rinse. The hydrating spray can be used as a finishing touch to improve shine and depth of colour. Always spray a light mist on the coat before using any tools, such as combs and brushes. Mist the coat with the hydrating spray between baths to protect, strengthen and to help keep mats out of the coat.